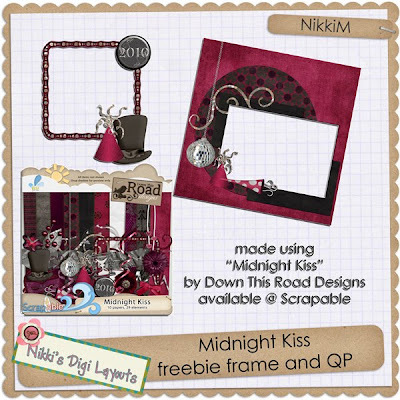 Midnight Kiss, a freebie and a contest!!! 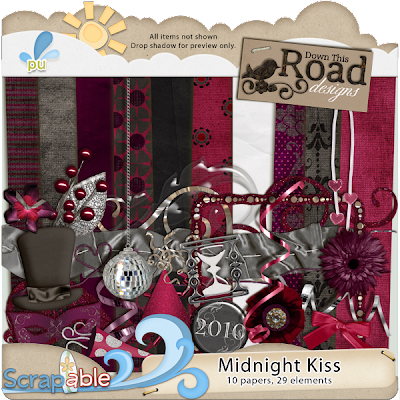 Perfect for those New Years Eve photos!!! didn't have any photos to go with this kit. I am going to a wedding this year on New Years Eve!!! I get to get out of the house with NO KIDS!!!! So for now I made some freebie instead of layouts!!!! I guess it really isn't a contest..... YET!! so can you head on over there and leave her some love?!?! ?